1) Save a new copy of your scribe with a new name, and restart videoscribe. Save a copy of the scribe (your work file) with a new name and then restart videoscribe, and open the new scribe. This process MAY provide a TEMPORARY workaround and allow you to render a scribe or continue editing your work even if there are still other problems (listed below) that should probably be addressed. I only listed this tip first because it may be the easiest thing to try. Rebooting may also free up some memory and allow problematic scribes to render successfully. Other problems mentioned below may result in one or more corrupt or faulty element while working or saving. If you have one or more problematic elements in your scribe, they can cause a crash or prevent the scribe from rendering or saving properly. If a scribe or element actually becomes corrupt, and you cannot open or render a scribe, you may be able to identify and remove the damaged element(s) by exporting and then importing the scribe. If the scribe is saved online instead of locally, you can download the scribe from your Sparkol.com account page https://my.sparkol.com/online-scribes and then import it into videoscribe. (NOTE: This process does not "FIX" everything wrong with a scribe, but it sometimes removes damaged elements, so that you can continue working on it. 3) IMPORTANT!!! Videoscribe works best if you optimize ALL of your images for good quality and small file sizes. If you don't know anything about optimizing images, a search on youtube or google may help bring you up to speed. Properly prepared JPG and PNG images can usually be in the 1-250 KB range. If you are using images that are more than 1 MB then they are probably larger than necessary and may be causing out-of-memory problems. (the file sizes I provided are only a rough guideline.) For JPG and PNG images: the dimensions of the image probably do not need to be larger than the dimensions of the finished video. GIMP (free at gimp.org) and photoshop and other programs offer methods for saving images with smaller file sizes without noticeable reduction in image quality. 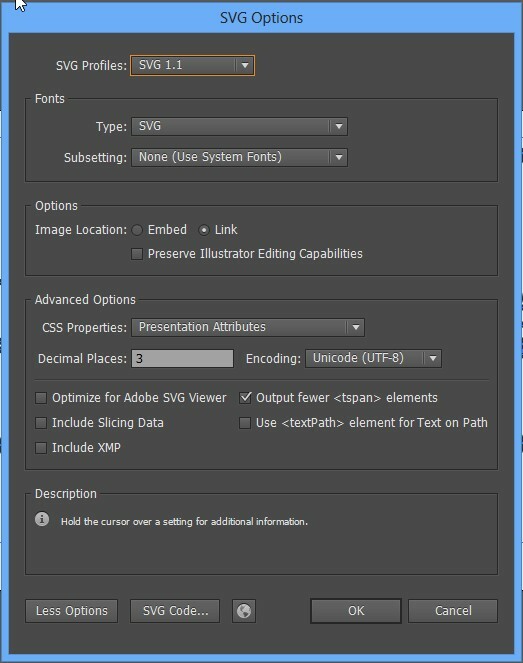 The SVGs that work best in videoscribe can usually be less than 100KB and contain only stroked paths and/or filled paths. Larger SVGs may contain excessive numbers of anchor points or problematic data like masking or clipping paths, which can contribute to freezes or crashes. Delete hidden layers from your SVGs. (hidden layers increase file size. larger file sizes require more memory to process.) Also there are are some youtube tutorials that mention leaving embedded JPGs or PNGs or other images in your SVG files, but you should probably optimize such images first if you are going to embed them. Larger files may cause excessive memory use resulting in slowdowns, freezes or crashes. 4) Avoid very large very fast camera movements or extreme zoom in/zoom out between elements. If you are experiencing a freeze and you have at least one huge camera movement, try reducing the camera's travel distance by moving the elements closer together and/or scaling the elements to similar sizes, or slightly increasing the transition time for that camera move. If your images are very spread out then the final zoom-out-at-end may be so extreme that it causes a problem. Grouping elements closer together into a roundish blob may be better than spreading them out in a long line. 6) Some previous threads have suggested that very large blocks of text may cause problems. If you have paragraphs of text, then breaking the text element into 2 or 3 smaller elements may help. 7) ASK SUPPORT for specific feedback: If you are not able to resolve the problem and you have already checked the INSTANT ANSWERS page for known bugs or solutions to common problems, you can save the scribe online, and Raise a Ticket to contact customer support providing the name of your saved scribe. Describe the symptom you are experiencing and ask customer support to take a look at it. 8) in all versions, if you have insufficient hard drive space, your video may fail to save. I believe even videos being saved directly to youtube, must first save a copy on your hard drive. 10) If you have imported many fonts, try deleting the ones you aren't using. More imported fonts take up more memory. Some fonts may use more memory than others.There may be cases where fonts with unsupported special characters cause problems. 11) If your video rendering repeatedly freezes at the same part, and you've already tried restarting videoscribe and optimizing your images and making your camera settings moderate, I'd suggest deleting that image and maybe the image after it, and then importing them back in. 12) I believe that higher image import quality settings require more processsing power and memory. The maximum setting is 4000. I'd suggest 1000 or less. 13) Sometimes a corrupt image may cause the timeline to appear blank. All the items should re-appear along with all the items in the timeline. You may find that there is a particular image that appears blank in the timeline or is really small on the canvas. You should delete this item. If the problem persists, you could also try deleting the last few items that were added. 14) If you are making scribes that are more than 10-15 minutes long, you will need to be even more careful to follow the tips above. If you run into problems, it may be advisable to divide longer scribes in to smaller scribes of less than 10 minutes each and then splice the finished videos together afterwards. Illustrator creative cloud and newer versions of inkscape currently include some SVG data that causes problems in videoscribe. Fabulous, Mike! Thanks for pulling this all together! 15) Sometimes deleting the audio (voiceover or music) will allow you to to render the video or save the video even if you were unable to render or save before. Possibly because it frees up a bit of memory on scribes that are pushing the limit, or possibly because of problems with videoscribe locating the sound file. You may be able to immediately re-add the audio file before rendering successfully. Otherwise, you could use a video editing program to add the audio back in after rendering. saving with the recommended settings should prevent the problems, or running problematic SVGs through SVG Cleaner. Symptom: If you use a "move-in" (or possibly "morph") as your animation type, with a zero second animation time, elements may not appear in the correct location in rendered video. I don't know if the symptom has been explicitly explained anywhere, but my guess is that the elements get stuck at the origin position of the move-in (the starting point from which they are supposed to move in). This means that they are off-camera when it is time for them to appear and they may end up in the path of the camera as it continues to move around the canvas later in the scribe. Solution: If any elements have an animation time of zero seconds change the element's animation type from "move-in" to "draw" and/or increase your animation time to some amount of time greater than zero. 12- revised) High DEFAULT IMAGE QUALITY settings increase memory usage and may result in unexpected glitches such as collapsing or invisible images or timeline problems, or freezing, failure to render or any number of other problems. To find the default image quality setting, close all scribes, click the gear/cog icon in the lower right corner of videoscribe. I'd recommend 600 to 900 as a general rule and use higher settings for specific images that seem blurry. Maximum value is 4000. Avoid usig the maximum if you can get what you need with a lower number. note: this setting MIGHT be bugged in version 2.3.5 causing all images in the scribe to adopt the newest quality setting if you change the setting for just one image. Just a note to support Mikes number 3 which is probably one of the most common causes of crashes - There are a number of free tools you can use to optimise your images which are outlined in a post on our blog entitled 9 Free tools to pimp VideoScribe. Very nice, Mike, thanks for the work you put into this! I believe that in version 2.3.6 (and possibly other 2.3.x versions), if you use Text with a draw time of zero you may experience bugs. one bug is that the pause time on the same element will be ignored. 2.3.6 fixes a bug where you have an element set to Move-in that has a zero second animate time. It can appear in the wrong place or not appear at all on the rendered video. 2.3.6 can be installed using the following links. 2.3.6 still contains a bug where a text element with a 0 second Animate time is followed by another element that has 0 second Animate time. Any pause and transition time are ignored for the first element on the rendered video. A workaround for now is to add 0.1 seconds to the Animate time and remove the hand, of either element. I find the software really unstable. I have lost hours upon hours of work due to the software not letting me save, it often crashes when playing back a scene, the images freeze but the audio keeps on going. It's all very frustrating. I am using a Macbook Pro 2004 so I would be surprise if it were my computer causing the issue! The recover feature does not work either, it recovers the piece of work but recovers it in a way that you cannot use it anyway as the frames are missing from the animation! Is it something I'm doing? In Bradley's case, he seems to be having trouble saving, but in general, if you need help diagnosing problems with a project, please save your project to the cloud folder and then either raise a support ticket or post in the forums to tell customer support the name of the scribe project. or...to seek help from the community (users), save your scribe as a .scribe file and attach it here. Even if you can only save or recover an older incomplete version of your work, please provide it if you want help. 2) if you are changing the name, you MUST save locally first with the new name before saving online, or it won't let you save online (I think). 3) if a scribe file contains problems and won't save, then the same problems will probably cause the autosave to be incomplete. It is possible that the blank elements are the ones causing the problem. Consider that possibility when you troubleshoot. 4) many of the problems mentioned in the tips in this whole thread will result in lockups, freezes, failure to save, failure to render or other symptoms.. Improperly prepared images and excessive camera movements are probably the biggest culprits. you can review the tips starting with the first post in this thread to try to identify the cause of your symptom. Saving issues are sometimes the result of an error in the soundtrack and it is preventing the save. If you have problems saving the scribe, try removing the soundtrack. Then add another soundtrack from the soundtrack library - choose a short one e.g. Adrenaline Junkie, which is the first one in the list. Click on the tick in the add soundtrack window and then you should be able to save using the tick icon. I have attached a video here that shows you. Now you should be able to save the scribe. Disabling the auto-save sorted all my bugs/frozen screen. Unfortunately I cannot render the video. usage is getting above 1.2GB then this is where problems can start to happen (VideoScribe cannot use the full amount of a computer's RAM). If you are already near this limit and you try to add more elements then this will tip it over the edge of the memory limit." I followed ever advices I could on here. edit them together after you render them. There are a number of free tools you can use to optimise your images which are outlined in a post on our blog entitled 9 Free tools to pimp VideoScribe." Now I must be dumb but I couldn't find out how to split my scribe into several scribe and then add them back together. I need the music to flow obviously. I'll email them back anyway. 5) use video editing software to combine the 2 videos and add the audio. As always, "if you would like help diagnosing problems with a project, please save your project to the cloud folder and then either raise a support ticket or post in the forums to tell customer support the name of the scribe project. to seek help from the community (users), save your scribe as a .scribe file and attach it here. "